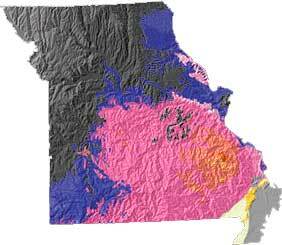 Missouri geology and topography map courtesy of USGS: A Tapestry of Time and Terrain. The Smithsonian Bureau of American Ethnology states that Missouri means town of the large canoes. Other authorities say the original native American syllables (from which the word came) mean wooden canoe people, he of the big canoe, or river of the big canoes. 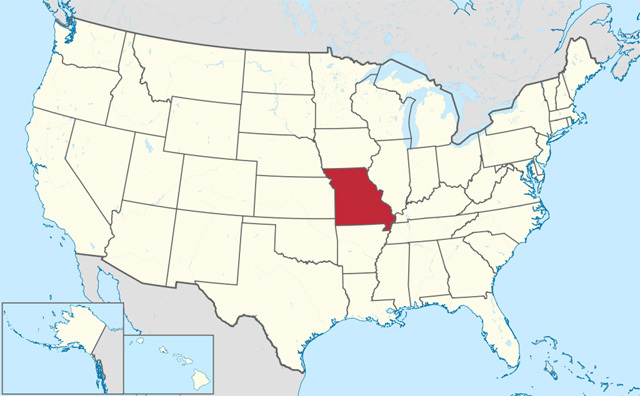 The state of Missouri, USA; image by TUBS on Wikipedia (use permitted with attribution / share alike). Add Media for Origin of "Missouri"